White and blue are definitely the colors that suit to the summer. They are soft, fancy and reminds of the sea and breeze. 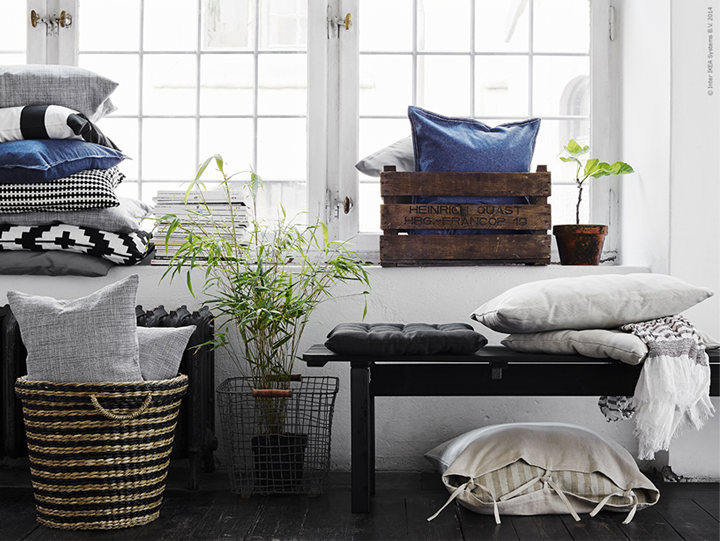 Here are some ideas to decorate with textiles in white and blue from IKEA. What I love here is the natural look and the jeans cushions. 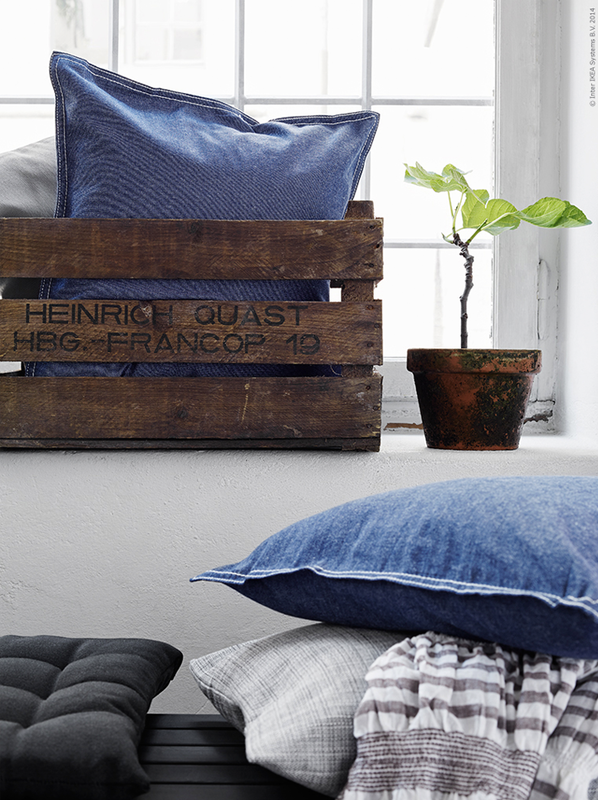 I still think that the jeans in the interiors are very interesting – add color and texture. And if you like this idea, later I will show you some example of rooms where white and blue create a great atmosphere.